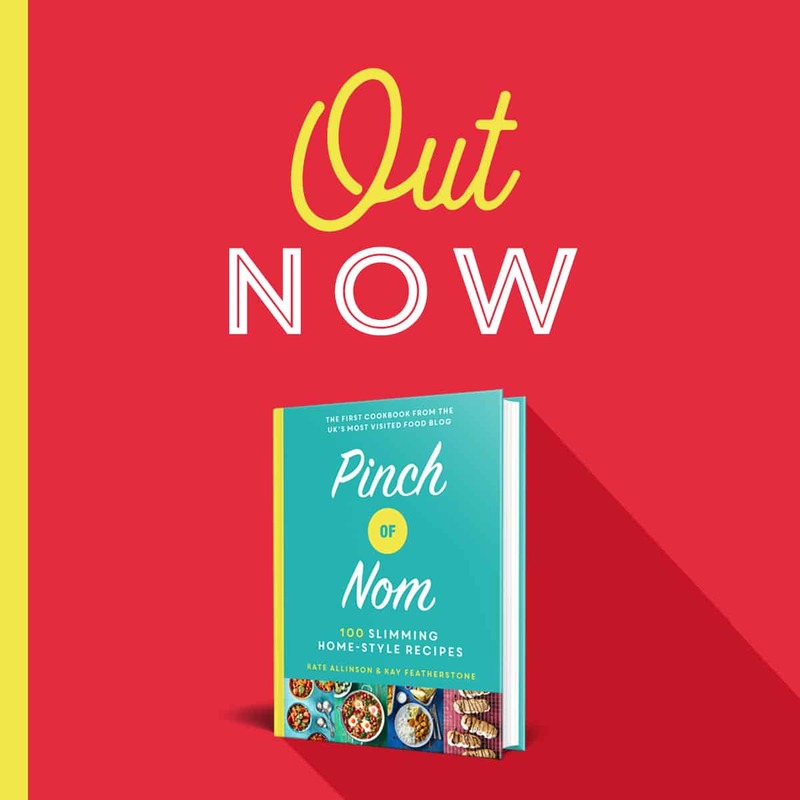 Now you can enjoy Korean BBQ Beef (Bulgogi) when counting calories or following plans like Slimming World and Weight Watchers! This Korean BBQ Beef (Bulgogi), is the perfect midweek supper. We’ve decided to make a low carb, sugar free version. I don’t know about you, but I adore a good steak. People can be a little fussy with how they like their steak, me included! 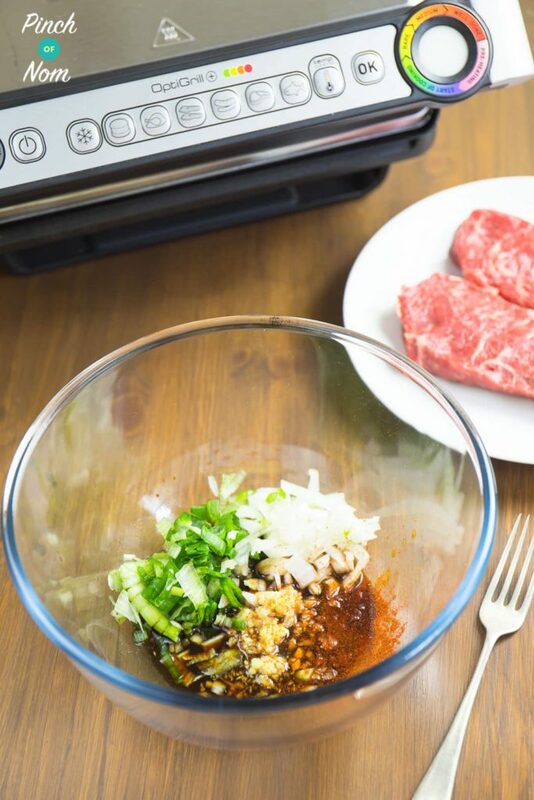 This Korean BBQ Beef (Bulgogi), combines soy, ginger and garlic and if you’re a fan of Asian flavours, you will love this. 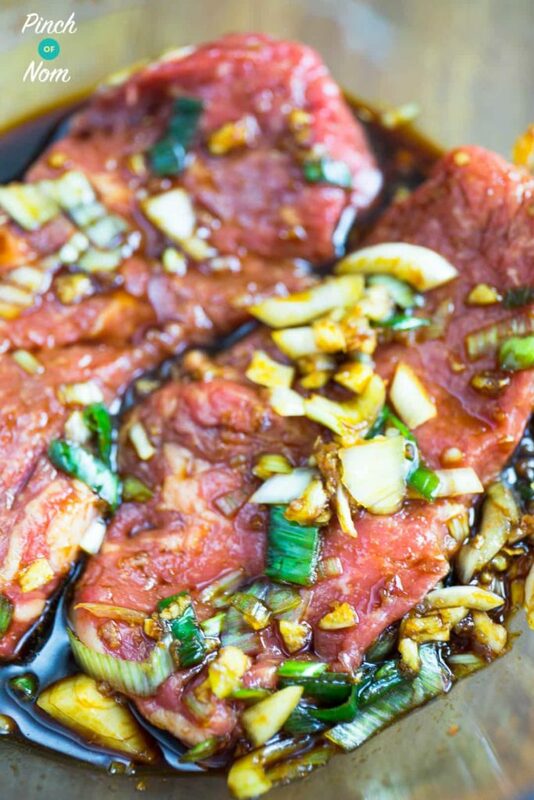 As you can see from the photo’s of our Korean BBQ Beef (Bulgogi), we like our steak medium rare, if you prefer it a little more well done, that’s cool. I’m one of these sad people who usually cooks a steak with a thermometer in hand to measure the internal temp of the steak. Steak for me has to be perfectly cooked. Sometimes though this isn’t always practical! Especially when I’m cooking for more than just the two of us, or if we have umpteen side dishes also on the go. All too often, a busy kitchen results in an over done steak. Meh. 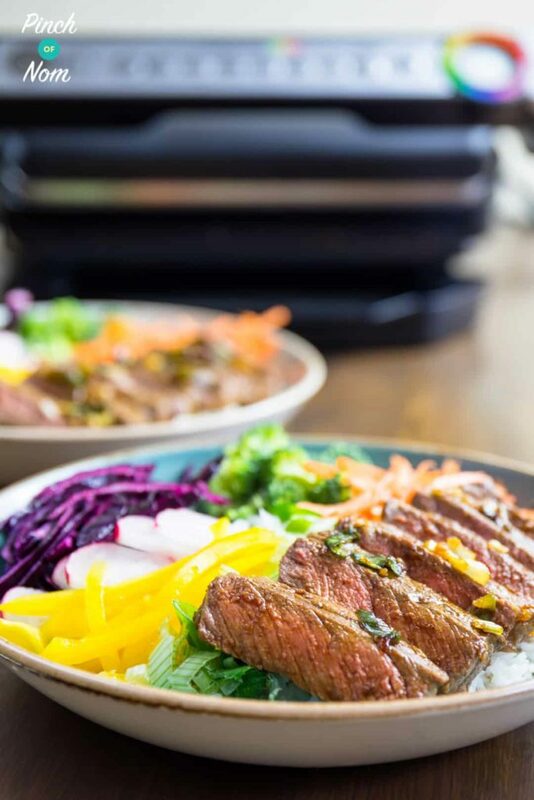 I really didn’t want this beautiful Sirloin in this Slimming World Syn Free Korean BBQ Beef (Bulgogi) to be ruined, so I used my Tefal OptiGrill. 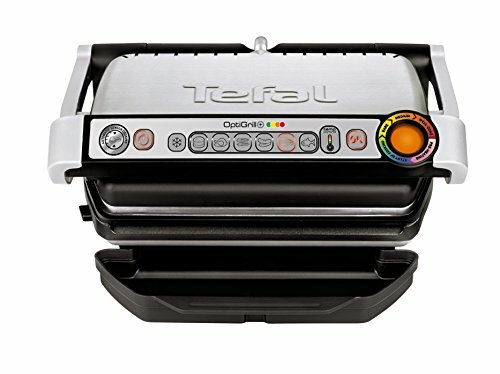 When we were asked to take the Tefal OptiGrill for a spin, I was super skeptical. I was wondering how on earth a grill can measure the thickness of meat and then cook it to your exact likeness?! This skeptic is now a believer, and the Tefal OptiGrill actually does everything it says on the box, and then some. 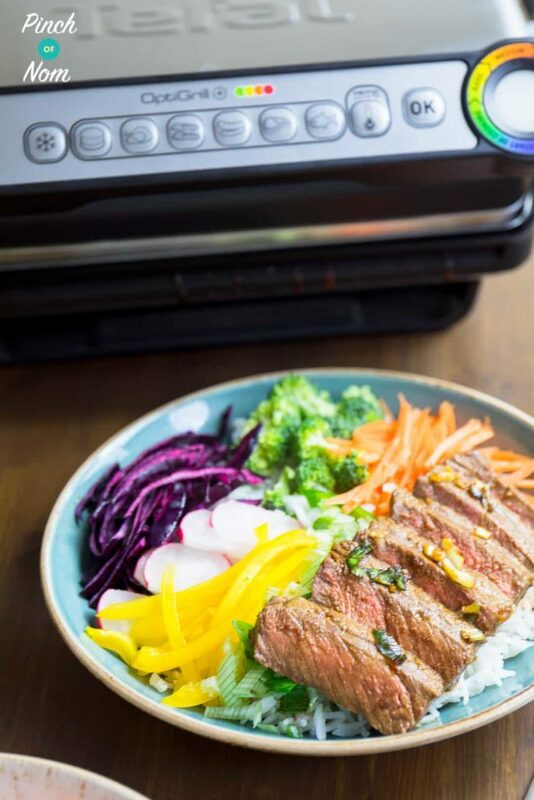 If you’re not confident cooking meat, and want to have that confidence (not to mention you’ll never waste money on ruining expensive ingredients), then the Tefal OptiGrill is for you. There’s also a fantastic grease drainage system. Meaning none of the grease ends up in your meal. We all know what happens to those gadgets! They end up banished to the cupboard of doom, never to see the light of day again. 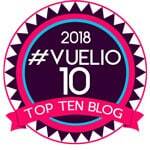 The Tefal OptiGrill will not become one of these! 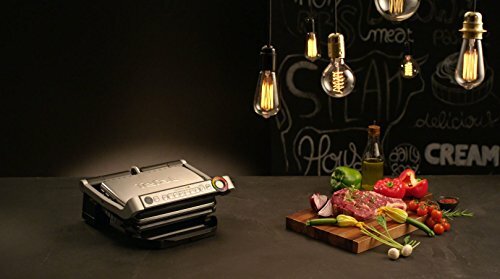 Where can I buy the Tefal OptiGrill? You can grab them from most major retailers, and of course Amazon.co.uk! Like this Korean BBQ Beef (Bulgogi)? 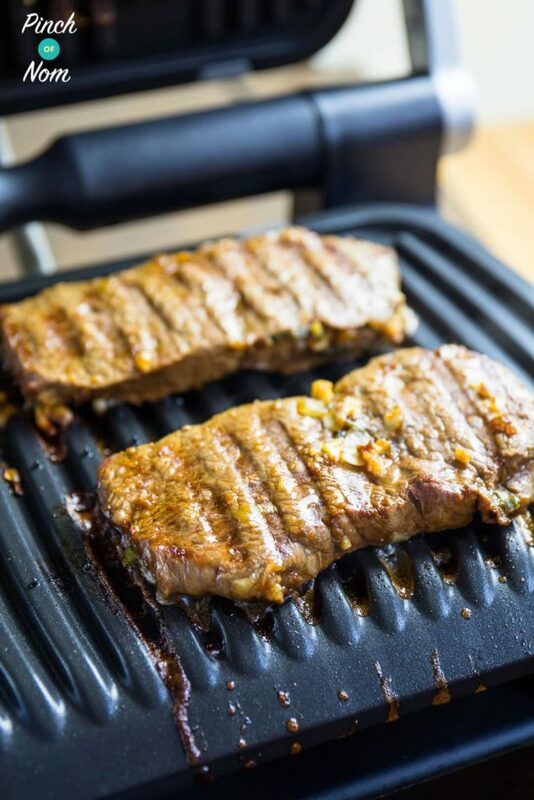 Check out our other Tefal OptiGrill Recipes! If you like the look of this Korean BBQ Beef (Bulgogi) then you may like the look of our Chicken Shawarma! How many calories is this Korean BBQ Beef (Bulgogi)? 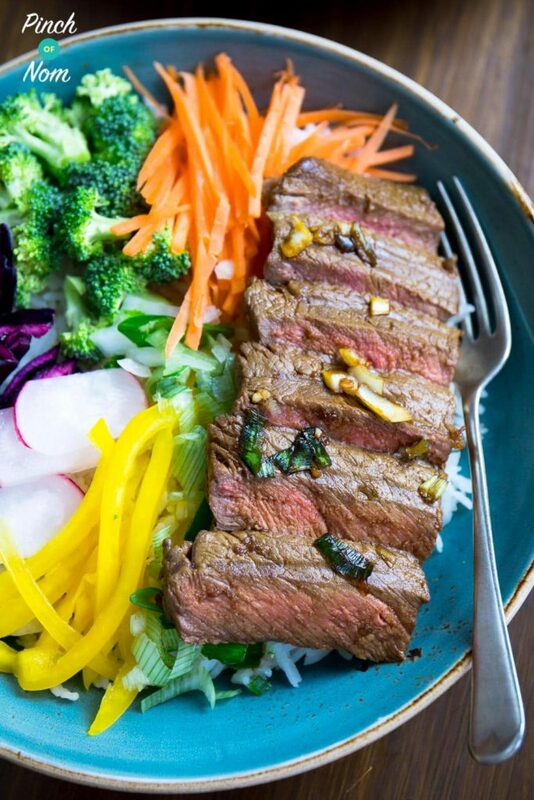 Each portion of this Korean BBQ is just 280 calories, making it perfect for a light lunch or dinner! 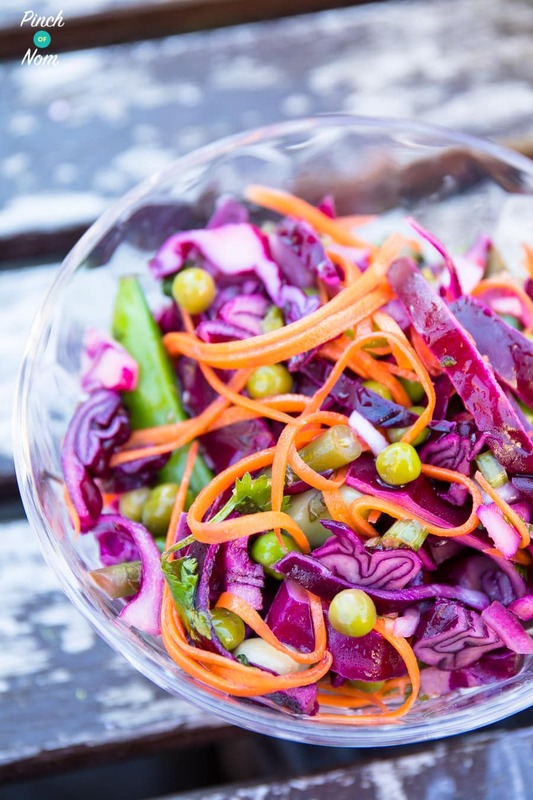 How about serving it with our Edamame, Sugar Snap and Carrot Asian Salad? How Slimming World friendly is this Korean BBQ Beef (Bulgogi)? 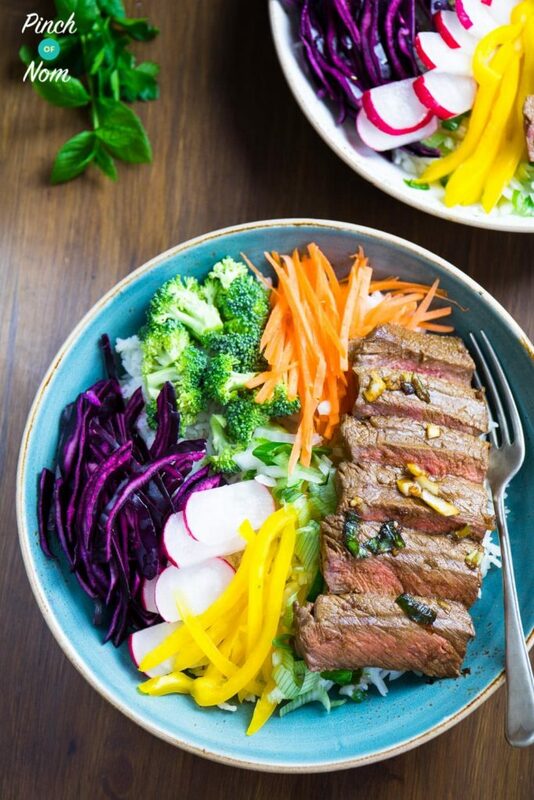 This Korean BBQ Beef is Syn Free for anyone following Slimming World. 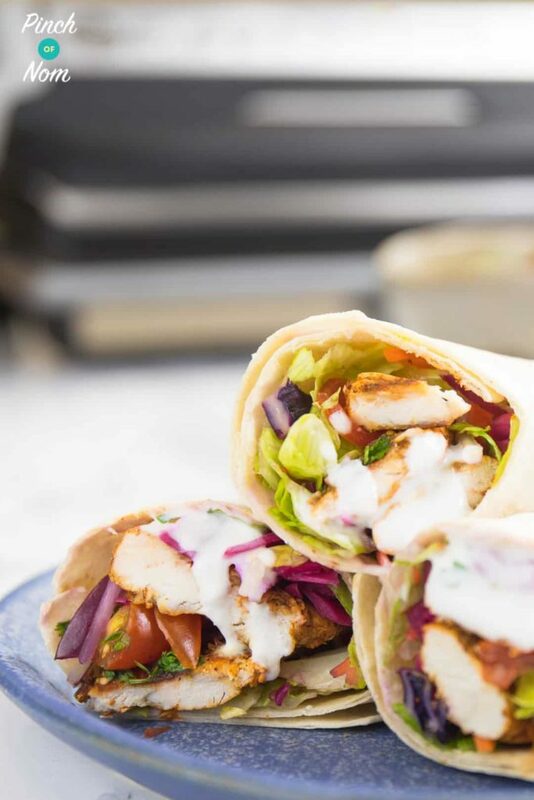 You could serve it up with some Speedy Vegetables for a perfectly Food Optimised meal! How Weight Watchers friendly is this Korean BBQ Beef (Bulgogi)? There are only 7 Points per portion in this Korean BBQ Beef recipe, so you don’t have to blow all your dailies to enjoy it! How do I make this Korean BBQ Beef (Bulgogi)? Mix all the ingredients together (apart from the Sirloins). Reserve a small amount (about 1/2 tablespoon) of the marinade for later. 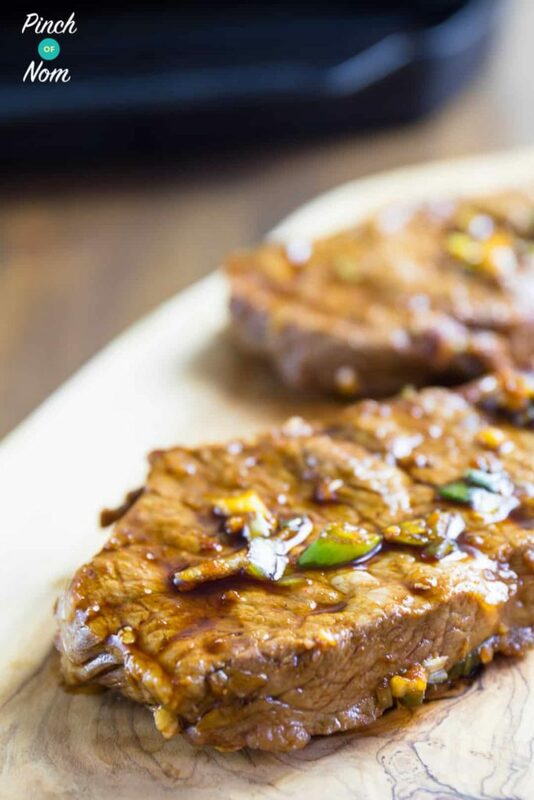 Add the steaks to the marinade, cover and refrigerate for at least half an hour (you can leave them overnight). 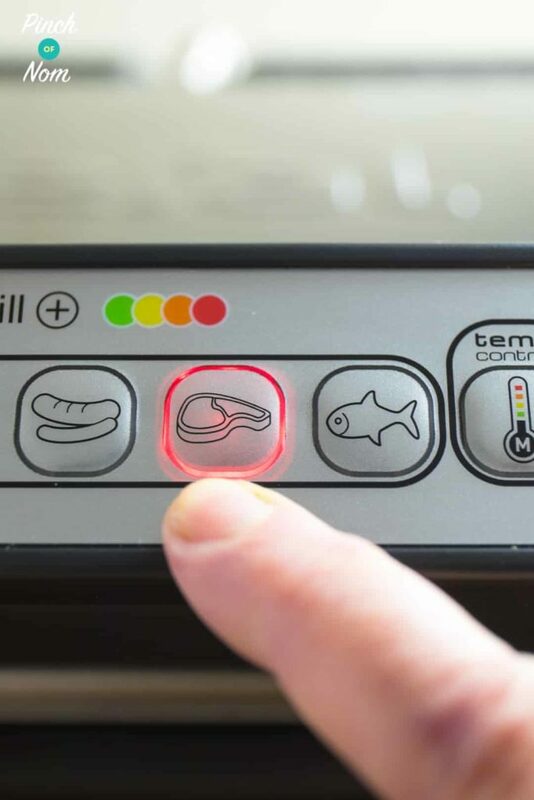 Turn on the Optigrill and select the steak setting, then press OK. 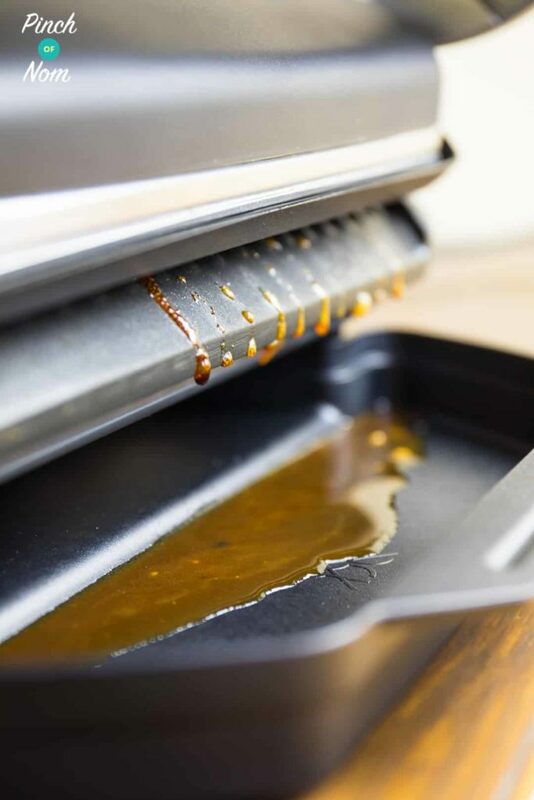 Allow the Tefal OptiGrill to preheat. When it’s ready the indicator light will stop flashing and you will hear a beep. 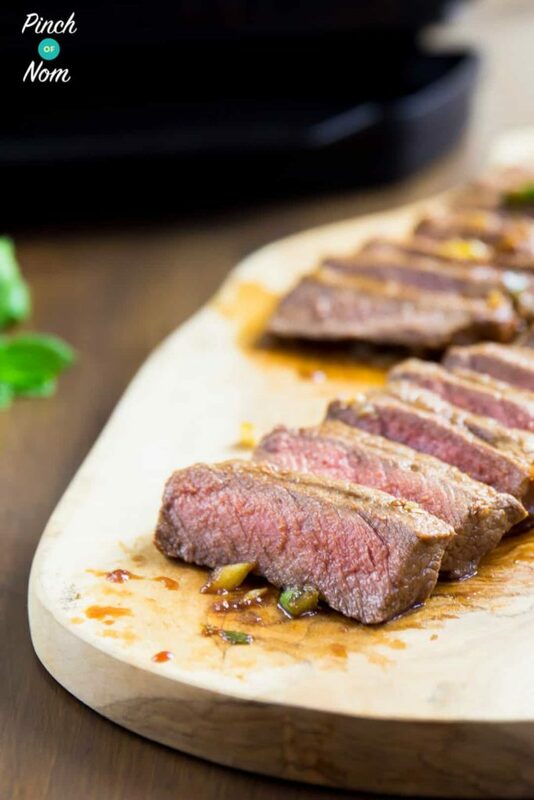 Cook the steaks on the Tefal OptiGrill until the desired degree of cooking is reached. Yellow for rare, orange for medium or red for well done. 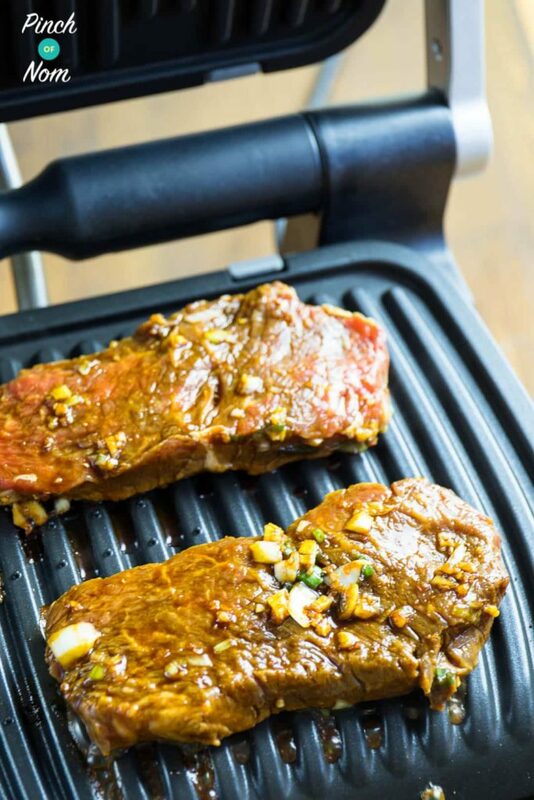 Remove the steak from the grill and brush with the reserved marinade. Allow it to rest for a minute or so. 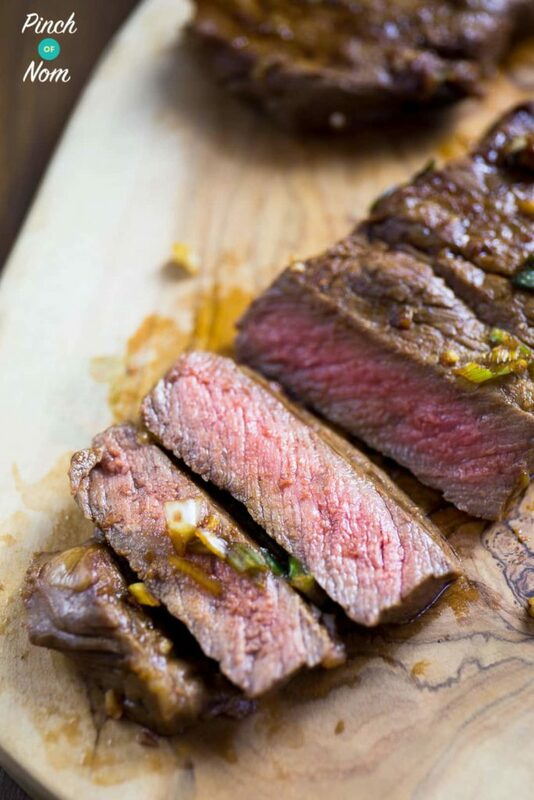 Cut the steak into slices, and serve with what ever you like! 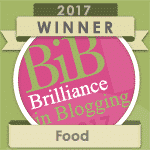 We chose a bowl of boiled rice and a selection of freshly chopped vegetables. 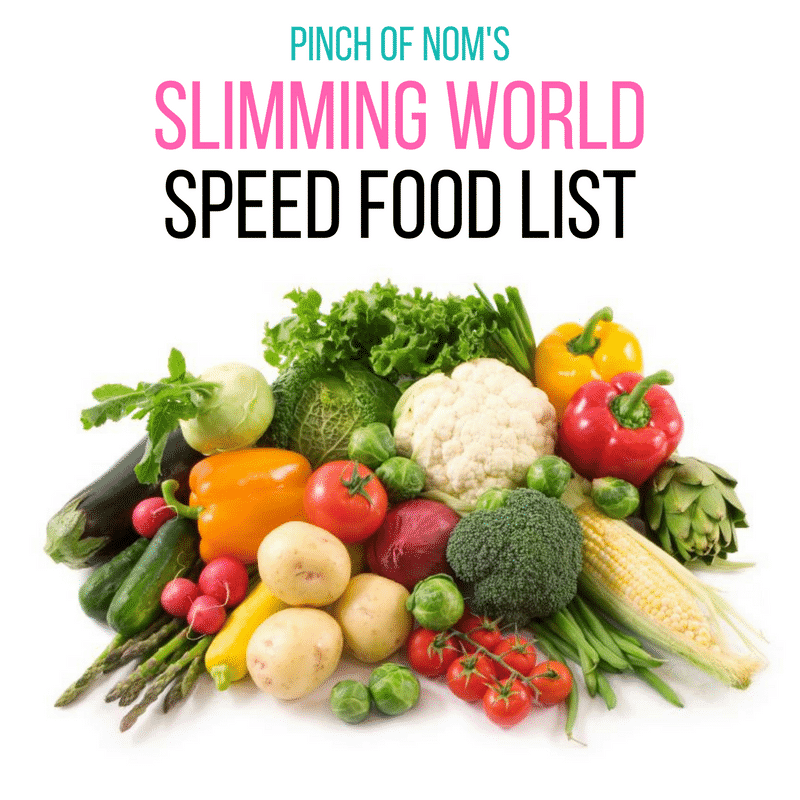 Speedy, tasty and packed full of speed food! What do you reserve some of the marinade for?